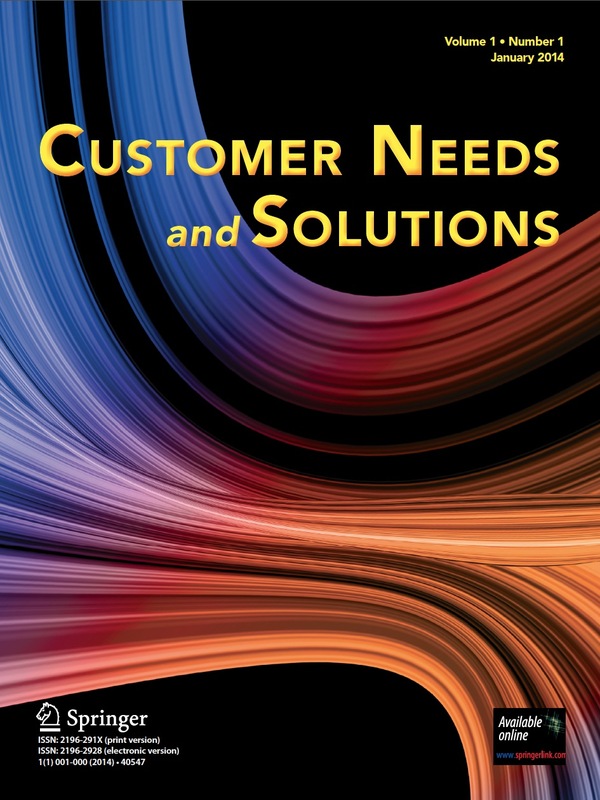 Customer Needs and Solutions (CNS) aims to be the premium outlet for scholarly work on critical issues related to customer needs (broadly defined to include the needs of both consumers and business customers) and solutions that address such needs. The objective and style of the journal are similar to Science and Nature. M. Ding. (2015). CNS as Venture Capitalist, Customer Needs and Solutions, Volume 2, Issue 1.